Here is the list of documentary requirements asked by DFA. There are additional requirements for late registered applicants, married, dual citizens and a whole lot more for minors. So as listed, I needed to present an ID and at least 3 supporting documents. My mind has gone in circles when I saw the requirements. If you will look at it, they only need pretty basic identifications, but I have a problem. My only ID is from school and since it was old, the photo is already fading (it was printed in PVC) and it is blurred already. Another thing is that, it needs to be surrendered soon. I was aiming for SSS ID but I found out that they need 1 month contribution prior. Boohoo~ I was only about to apply in order to get my SS number. Where in the world can I get an ID?? (Forget about Recto, I want all things to be legit). Even my alumni ID is yet to be given to me. The hardships of a starter in the world of working, no identifications and limited everything. 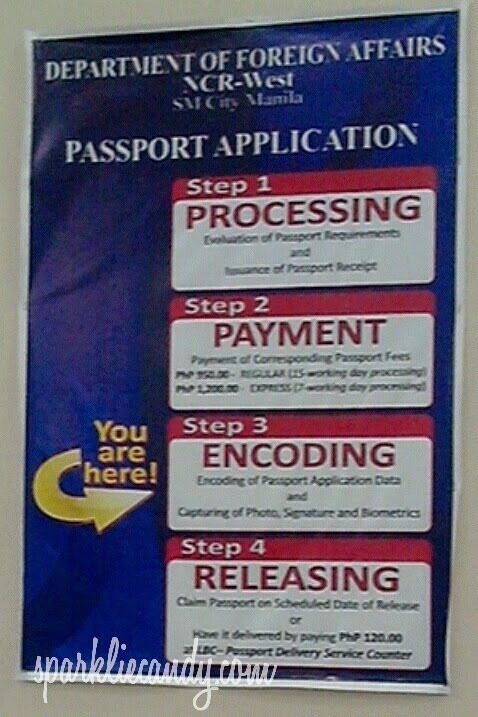 NBI Clearance (easy but usually there is an 8 days waiting time for new applications, fast 1 day release for renewal based on my experience - apply online for more convenience. Waiting time will be cut in half.) 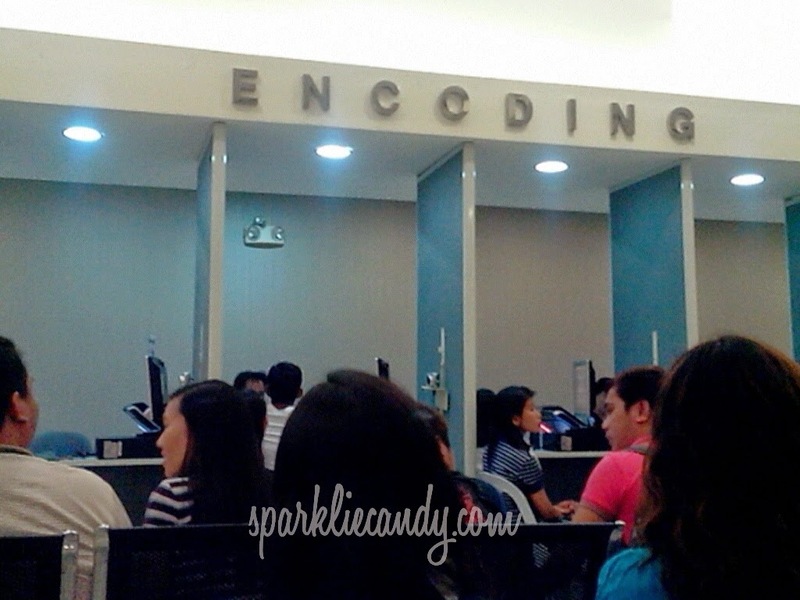 Paid P115 for passport/travel abroad/green type of NBI clearance at Ever Recto near Isetann. Police Clearance - Got this in 10 minutes or less. It was easy but costs P200 because its for traveling abroad. Barangay Clearance - Easy and free as well! Requested mine from our barangay hall. SSS-E1 Form or Microfilmed Copy of SSS-E1 Form - Takes 10 minutes or less! Again, it is free. School Yearbook - Thinking twice on this one. I rarely hear that this is presented on DFA. Might be one of my last resort. Community Tax Certificate - This is cedula! Yikes. Haha. I was clueless that I already paid for it when I got my Police Clearance. Only P6. I chose to set an appointment at DFA Manila because this is the closest branch I am most comfortable with. The thought of application scares me so I needed a convenient and comfortable place to get it. Lels. So arte ano? I set up an appointment first here. Make sure to type in all correct information, and do not forget to add in a working email because this is where you will be sent the file you will present upon your DFA appointment. I was lucky to get the earliest available appointment date available which is only less than 2 weeks away. TIP: Sometimes other applicant cancels their application and when that happens a slot opens, giving an earlier option for other applicants. ...and their respective photocopies. My highschool form 137 is 2 days late. Pshh~ Anyway I was crossing fingers that these would suffice. But it won't hurt to give it a try, after all this are really all I have at the moment so it was like its all or nothing for me. I quickly rushed to SM Manila (1 hour away from the office). I almost missed my appointment time which is 1 PM. DFA advises applicants to be there at least 30 minutes before the chosen appointment time to avoid delays. I heard they have a cut-off and they do not allow late comers. They are the ones who will check your documents. The moment of truth for poor me. I was praying so hard not to be assisted by the guy with glasses on window number 7 who seems to be bored and masungit to the first applicants. However by I don't know why, when it was my turn I have no choice but to go to him. Yikes. Hmm~ but he was okay. He chatted with me about school and all and even joked about how much do I want to pay? Referring to rush or regular processing. I opted rush which is P1200. He got all of my photocopies then he stapled the original copies of receipt, birth certificate, NBI clearance (not the personal copy) and photocopy of my ID. I presented my receipt and paid P1200 for rush passport processing. 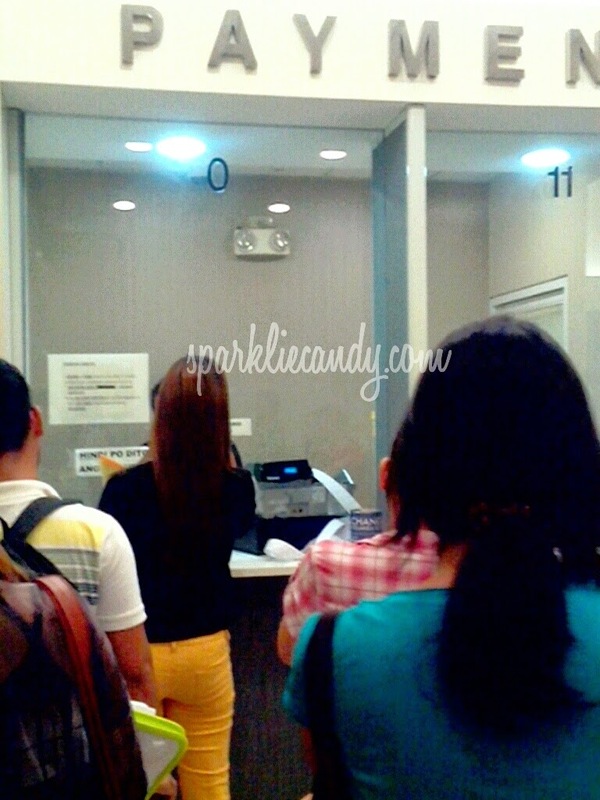 If you opt to drop by DFA on the date of your passport's release then you are finished here. But if you want to have it delivered then there is step 4. They use LBC for door-to-door delivery. They will have your address double checked and they will again, get a sign. I paid for P120 for this. Well just in case a delay or something I was spared the hassle of repeat visits to DFA. Waiting for my passport release and delivery on May 16. And so that's it! They are so fast in answering queries. Like I just sent an email and they will reply in a minute or so. It was that fast! Hope this post has helped you ladies in some way especially those graduating beauties who are yet to apply for a passport and has very limited documents like me.